Home School Legal Defense Association is an advocacy organization established to defend and advance the constitutional right of parents to direct the education of their children and to protect family freedoms. They provide insightful vision and leadership for the cause of homeschooling. HSLDA continues to work proactively, introducing legislation to protect and preserve family freedoms. Roy Hanson and Nathan Pierce with Family Protection Ministries work to ensure California legislation is favorable to homeschooling by provide firsthand reports of any changes in the law and legal/legislative threats to parental and private home education rights in California. The Christian Home Educators Association of California is a ministry established to provide information, support, and training to the home education community throughout the state, to advance the Kingdom of Jesus Christ by promoting private Christian home education, and protecting the God-given right of parents to direct the education and training of their children. Parental Rights is working to protect Parents in the United States by working toward a Constitutional Amendment and making people aware of how close we are to having our Parental Rights eroded by The Convention of the Rights of the Child Treaty. Christian Home Educators of Central County is a Christian support group with parents that have come together to provide support and activities to homeschoolers in Central Contra Costa County, California. Our focus is on encouragement, fellowship, and education of one another in various aspects of home schooling. 1-888-NEEDHIM (1-888-633-3446) There is an answer to your search. Affecting destiny around the world by providing God's eternal Word to children and youth. Committed to reaching the 380 million people worldwide who do not have God's Word in their own language. Passages is an interactive, living history attraction that chronicles the remarkable story behind the most debated, most banned, best selling book of all time: the Bible. 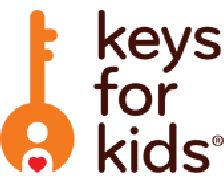 Keys For Kids Ministries continues to provide daily devotionals to children around the world.